On Saturday, March 16, 2019, H.E. 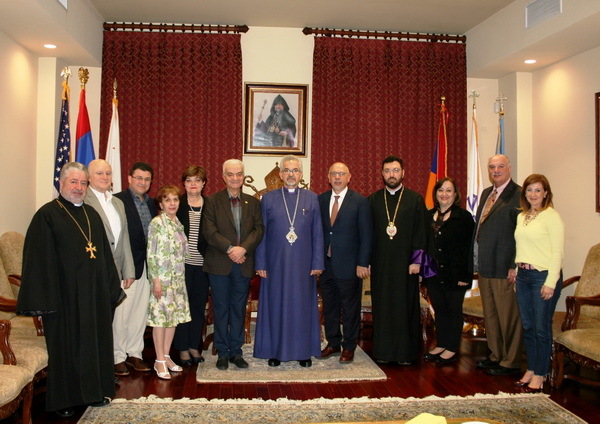 Archbishop Moushegh Mardirossian, Prelate, welcomed representatives of Hamazkayin Central Executive, Vicken Tufenkjian, Hrair Baronian, and Manoug Joukhajian, and chairpersons of Hamazkayin Western U.S., Eastern U.S., and Canada, Seta Simonian, Arevig Caprielian, and Dzovig Kahwejian. 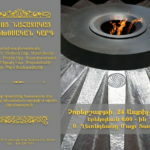 His Eminence was joined by H.G. 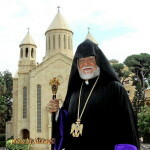 Bishop Torkom Donoyan, Rev. Fr. Ghevont Kirazian, Executive Council Chair Garo Esghian and member Ara Shabanian. The Prelate greeted the guests and spoke highly of the collaboration and mutual support between the Prelacy and Hamazkayin. The visit afforded the opportunity for a discussion on Hamakayin’s overall mission and forthcoming plans. Central Executive members spoke on the organization’s general endeavors including education, publications, youth programs, theatre, and more, while Regional Executive Chairpersons reported on local endeavors such as children’s book contests, collaboration with TUMO, cultural events, establishment of children’s choirs, and more, expressing appreciation for the Prelacy’s collaboration and support of their mission. 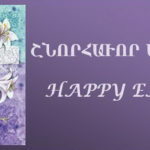 The Prelate and Executive Council Chair commended the valuable mission of Hamazkayin and the dedicated efforts of its members who spare no effort to continue the legacy and vision of the founders throughout Armenia and the Diaspora.